The Spectrum Premier Sediment Filter Cartridge can be used on the Spectrum Premier 4 Stage Water Filter System and the Spectrum Premier Reverse Osmosis Water Filter System. It is a 5 micron rated sediment filter for an effective barrier removing sediment (dirt, rust, silt, sand particles and so on) from in-coming water supplies. 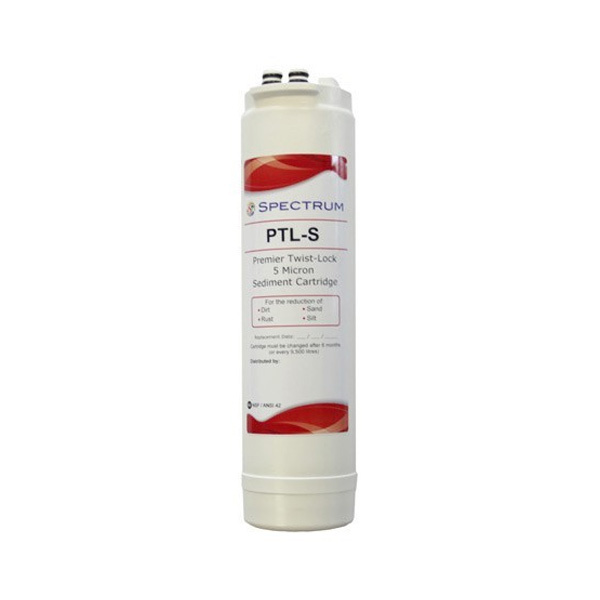 The Spectrum Premier Sediment Filter Cartridge is the first line of defence and protects and extends the life of the other filters in your system.. The filter is very easily replaced due to its quick change twist lock mechanism, which is a huge advantage over traditionally designed water filters, requiring no tools, mess or fuss. The filter is very easily replaced due to its quick change twist lock mechanism, which is a huge advantage over traditonally designed water filters, requiring no tools, mess or fuss.